Explore uncharted territory in your guitaring with Snakepicks. A revolutionary playing tool, SnakePicks were invented by guitar teacher Paul Slingsby out of frustration that his students were concentrating more on holding their pick and less on their fingerwork. 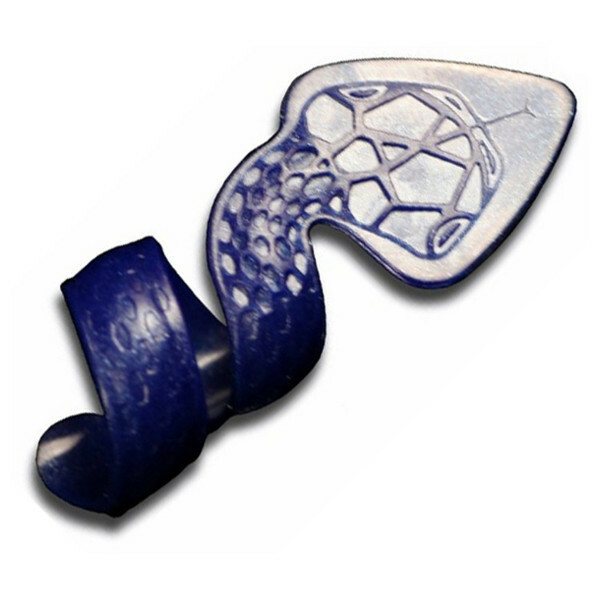 Coiling around the player's finger, SnakePicks allow comfort and dexterity without constricting normal playing style. Your SnakePick will never drop off your finger, even when they are slippy, and allows for effortless playing without even having to think about it. Available in four different sizes, it won't even rotate around mid-jam. Choose between three different densities to accomodate your playing style. Never lose or drop your pick whilst playing again, just pick the correct sized coil for your finger. An essential tool for beginners, SnakePicks also provide a great new way of playing for accomplished guitarists, both left and right-handed. Unlike finger picks, your can strum and pick, but also use your free fingers to pluck. With a guage set by the density of the plastic and not by measurement like traditional picks, this set of three picks emulates what guitarists think of as a good Hard guage pick. In a Big-Boned size, based on a measurement of the closest knuckle to the fingernail, generally fitting those with hands more generous that the average man.